Surprise! Obama Intelligence Leaders Caught Lying Again! Surprise! Obama Intelligence Leaders Caught Lying Again! Surprise! Obama Intelligence Leaders Caught Lying Again! At this point, a year into special counsel Robert Mueller’s fruitless investigation, and almost two years into other government agencies investigating various branches of Trump world, we know only one thing for sure. The leaders of Obama’s intelligence community were oddly, and possibly criminally, infatuated with Donald Trump and his subordinates. From the beginning, President Trump (then candidate Trump) has argued that the government had been spying on him. A notion that was roundly mocked, derided and laughed off. 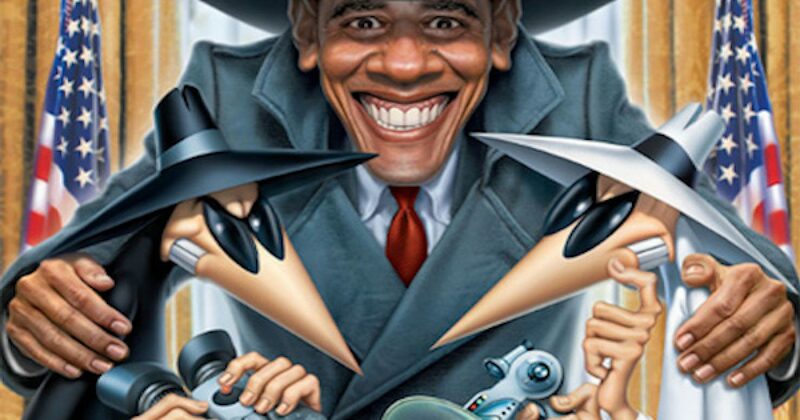 Until we learned that Trump was right, he was being spied on. In fact, it seems that every new bit of information that we learn about what is happening in D.C. comes to us first from Trump and then in snips, pieces, and usually lies, from the intelligence community. So the head of the CIA says the Steele Dossier didn’t play any role in deciding to investigate Trump, but the leaders of the NSA and the DNI both say it was indeed part of the calculus. Who’s lying? But we’ve also had problems with falsehoods being told by James Clapper, who gave inconsistent testimony about his leaking to the media. But one of the things that’s interesting is Clapper and Comey have been so much a part of this story, and we’ve seen their names a great deal. But Brennan has been able to kind of stay out of the limelight until recently where people are starting to piece together just how integral he was to the entire Russia narrative. So, for instance, he actually launched the investigation. He has bragged about how he was involved in starting the inquiry. He also was really crucial in briefing Harry Reid, which Harry Reid has said he understood that he was being briefed by Brennan specifically so he would leak that information and get it out to the media and also pressure James Comey. And also, it just stands to reason that it would have been included, but now we actually have people who do have a little bit more integrity, notably Mike Rogers saying that, of course, it was used in the intelligence community assessment. Today, “The New York Times” did a report based on just a widespread leaking from people who were involved in the investigation that, yes, people are now admitting they were spying on the Trump campaign in a fairly extensive fashion. So, this is busting wide open, and I think people will start demanding a little bit more regarding just what the FBI and other intelligence agencies were thinking when they began spying on the political campaign of a major party. The demands will get more intense once the report from John W. Huber is released. Separate from the I.G. investigation which will determine if the DOJ/FBI probe into Hilary Clinton’s email, was appropriately completed, the scope of Humber’s inquiry whether or not the DOJ/FBI abused its authority as it began its investigation into the Trump campaign.